How do I use the tyre fitment guide? 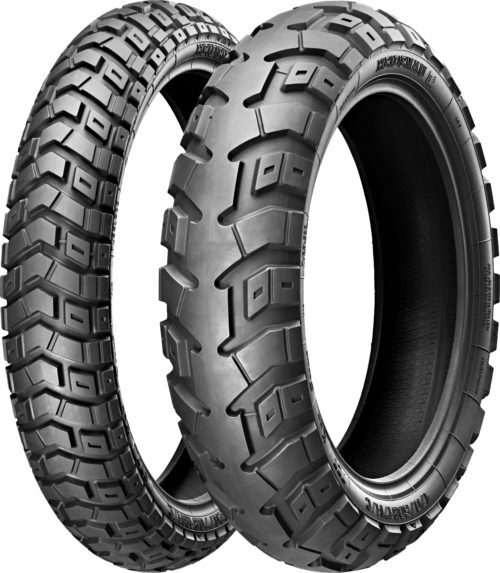 The acclaimed K60 Scout Dual Sport tire. A true “50/50” dual sport tire, the K60 Scout brings a proven balance of performance on- and off-road. With an improved tread and compound, the Scout delivers better cornering stability and wet weather grip on the pavement, while delivering off-road as well. HEIDENAU recommends its motorcycle and scooter tyres for the models shown in the fitment guide. While every attempt has been made to make this list comprehensive, some makes and models have been omitted. In most cases this is because HEIDENAU does not offer any appropriate tyres for a particular motorcycle, or the manufacturer does not offer the motorcycle for sale in Australia. If HEIDENAU tyres are available in replacement sizes for a motorcycle that is not listed in the fitment guide consult a HEIDENAU Motorcycle Tyre Dealer to confirm compatibility with your specific application. NOTE: By using the tyre fitment guide, you acknowledge and accept that HEIDENAU is not responsible for any error or omission, nor for any damage or injury resulting from the choice of a recommended tyre. You also acknowledge that it is your responsibility to ensure that the recommended tyres are compatible with the technical characteristics of the motorcycle on which they are mounted, including the motorcycle manufacturer’s recommendations. Moreover, you fully release HEIDENAU from any liability whatsoever in relation to, or as a consequence of, possible damages resulting from the fitting of tyres not recommended in this guide. HEIDENAU recommends the tyre pressure specified by the motorcycle manufacturer, except where otherwise stated. IMPORTANT: When tyres with speed ratings lower than those supplied to the customer as original equipment are fitted, the speed capability of the vehicle is limited to the maximum speed rating of the replacement tyres.